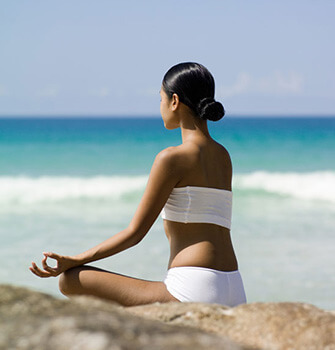 Meditation is an intrinsic part of Balinese culture. From a young age, children are brought to many temple ceremonies where they learn to meditate during prayer and learn to sit silently below the village priest as he chants mantra and rings his holy bell. The Balinese Hindu culture is incredibly devotional and ritualistic, with meditation playing a large role in daily life. Each morning, Balinese villagers perform the household ritual of giving offerings to the gods, spirits and all sentient beings. In this daily ritual they lay down a little plate made of woven banana leaves with burning incense, flowers or cenang inside. Laid with intention and a blessing in a form of silent meditation, the offerings are carefully placed throughout the home and workspaces and often on transport. Meditation in Bali is a core part of the culture and the Balinese live in a truly calm serenity to create balance and clarity in one’s life. Meditation is being in a state of awareness, stilling your mind and being conscious about your present action to achieve mental peace and tranquility. Whether you are seated in lotus, practicing yoga, lying down or even going for a walk, meditation is being fully aware of what you are doing and slowing your mind down by simply observing internally to achieve peace and tranquility. It is being at deep peace, a form of prayer, a moment to look deep within at ourselves and fulfill our true potential. Meditation is a practice to control and transform the mind by developing mental clarity, increasing concentration and a general awareness and acceptance of ourselves and our surroundings. It is a mental exercise of resting and slowing the mind down to achieve a sense of calm, helping us to break mental habits we may be unaware of as well as to reduce stress and ultimately increase our happiness and acceptance. By focusing the mind and slowing down the endless chatter in our head, our breathing slows down. This allows the body to enter into a state of relaxation and our sympathetic ‘fight or flight’ nervous system slows down; allowing the parasympathetic nervous system to instead come into effect and focus on resting, digesting and relaxing the body - ultimately reducing stress. By reducing stress, many other problems can be prevented like premature ageing or cardiovascular, digestive, immune and fertility problems. What different types of meditation are there? Meditation is practiced all over the world and has been used across many different world religions for thousands of years. The aim is always the same no matter where or how it is practiced: to be in a state of awareness, find inner peace and connect to God. Meditations can vary from focusing attention like staring at a candle flame, or devotional mantra chanting using malas, rosaries or Kirtan or an effortless presence achieved by simply closing the eyes and focusing within. 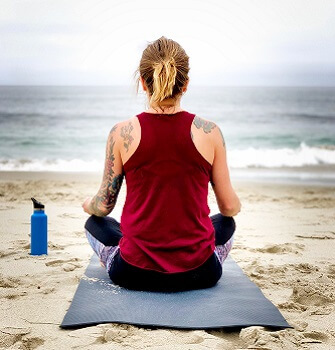 In yoga, meditation stems from Buddhist, Hindu and Chinese practices and include: kundalini, chakra meditation, sound healing (like crystal bowls or Tibetan gong bath meditations). Yoga asana is a form of meditative and mindful moment, as is ancient Chinese practices of Qigong and Tai Chi, working with energy and the power of the mind to reach a higher vibrational level. The best way to start is to simply sit in a comfortable position, close your eyes and focus on your breath. Simple as that, try to step away from the feeling that you can’t do it. But it is harder than it appears, just don’t be too hard on yourself, it could be the first time you are actively working with your mind to calm it. Shift all your attention to each inhale and exhale. Feel the air rising into your body, the slight pause before it gently leaves. When beginning it can be really difficult as when you try to still the mind you realize just how active it can be when you try to ‘think of nothing’ and ‘clear your head’. Another tip is to count to 4 as you inhale, hold the breath slightly and count to 4 as you slowly exhale, pausing again. By giving the mind 1 simple thing to do, reduces the frustration felt when sitting completely still. It is a stepping stone into being at your full peaceful meditative state. 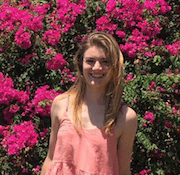 Try a beginner’s class, or read up about different types of meditations used in yoga and other world religions and traditions and see what resonates with you before you start. There are loads of helpful videos on youtube, hours of soothing background music to get you in the mood or guided meditations. If this is your first time, try positive affirmations, guided imagery or relaxed full body scans (yoga nidra) and see what works for you. Guided meditations are great if you need the support and a focus for your mind to listen to something to allow your body to relax. Mindbliss is a great app with a full audio library depending on your mood, experience, or time of the day - right on your phone to help you develop a daily meditation practice. 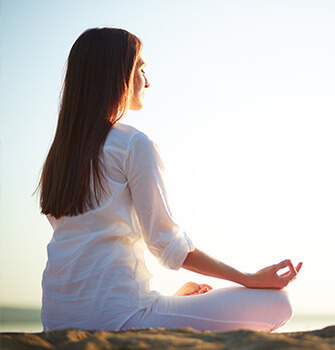 An ancient Buddhist meditation practice which has seeped into yoga is vipassana or silent meditation. Vipassanas are usually 10 days or longer and allow you a time of deep spiritual transformation with no outside distractions. Silent retreats offer a similar but gentler structure, where you can come for the day or several days as you like, to slow down, connect to yourself whilst feel supported in a group of other people meditating. Being silent for a couple of days can be quite emotional and challenging but allows us the time to really listen as to what is going on inside our head when we are not being distracted. Silent meditation retreats can be lifechanging and can help us re-discover our creativity, to connect in and love ourselves and to access our intuition by hearing our authentic voice within us that is so often silenced. If you want to deepen your meditation and experience a few days of peace, quiet and serenity come for a few days or a week of meditation in Bali at the base of the holy mountain Batu Karu with Bali Silent Retreat. 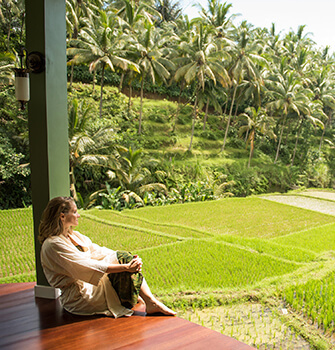 Bali Silent Retreat is a holistic centre built around prayer, meditation, yoga and restful contemplation. Stay, sleep and eat delicious vegetarian food, practice yoga, walk, rest and read, all in complete silence. By listening instead of talking and asking we can often find the biggest answers. Join others in group programs or rest and develop in the ‘art of doing nothing’, and eat, sleep, read and repeat. 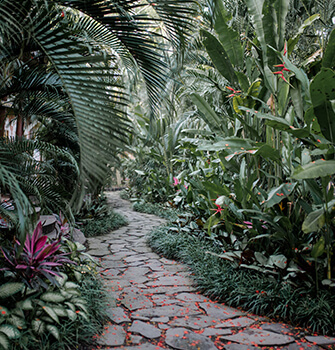 With a labyrinth-walking-meditation, a medicinal herb garden, jungle path, a food forest or the rice terrace walk and hot springs nearby. Completely switch off and have your headspace in peace and quiet. The dining and relaxing lodge of recycled timber and antiques with a spectacular 360 degree view of rice fields and mountains. Organic live food is fresh daily from garden to table with delectable vegetarian buffets in the morning and afternoon and fresh foods to graze on all day. Completely ‘off the grid’, Bali Silent Retreat uses solar electricity, water distillation, herb dehydration and rainwater catchment system. Accommodation dormitories (up to 35 people). Rooms range from small private wooden bungalows to snug single rooms to dormitories, all with simple but tasteful touches, down comforters, 100% cotton sheets, kimonos and stunning views. The Bali Silent Retreat crew takes pride in growing fresh organic vegetables, fruits, and herbs with love and care on site, without chemicals or commercial fertilizers. Balinese and Western chefs share their expertise to bring the best flavors of east and western cuisine. 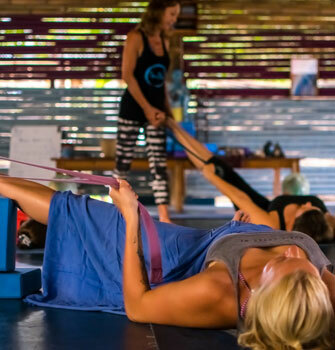 An oasis of spirituality itself, The Yoga Barn Ubud is famous for its diversity in Yoga classes, weekly Ecstatic Dances, Yoga Teacher Trainings and so much more. Recently they launched a whole variety of meditation classes. Gong Bath Meditation, Chakra Aura Meditation, Peaceful Meditation, Tibetan Bowl Meditation, Sacred Heart Meditation....and the list goes on. There is the right meditation for everyone...beginner, advanced, music lover, silence lover, everyone can find the matching meditation to calm that monkey mind. 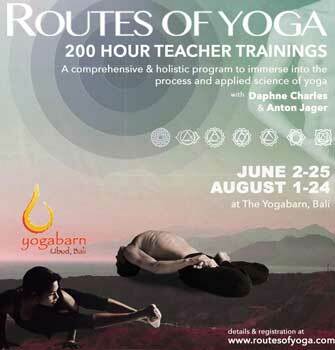 So if you prefer to start or continue your meditation practice with daily classes instead of a whole retreat, The Yoga Barn Bali is your place.